Curated by Ashleigh Campbell and Anne Keam. When, how, and why did the locality Darling Downs come to be known as the Surat Basin? This question informed the exhibition curators Ashleigh Campbell and Anne Keam and with it came the recognition that such a shift was deeply important to the region’s connections and perceptions of their place. Habitat is a word that accommodates the presence of life beyond the human shaped and perceived landscape. In any given habitat the living and the nonliving interact to the rhythms of the earth and the cosmos. As both observers and inhabitants, artists and scientists help shape human perceptions of and relations with the broader global environment. This includes the economy of the earth’s resources that supports humanity. 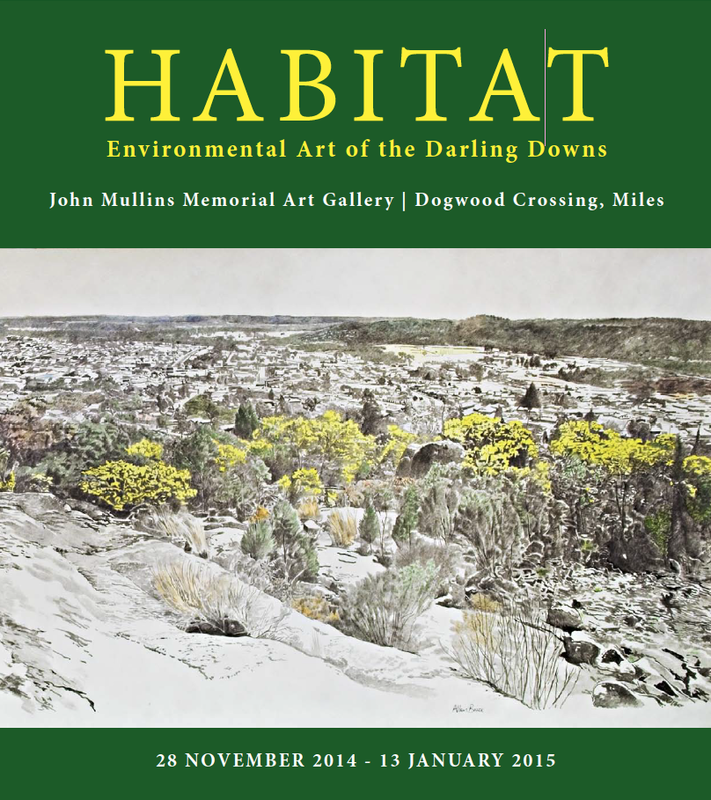 Campbell and Keam researched a broad range of influences including the natural and human habitat of the Darling Downs from colonial history to present. Through the eyes and minds of the region’s colonial and post-colonial artists, along with some scientific documentation and social artifacts, they sought to reflect on shift and its implications on the regions environment. John Mullins Memorial Art Gallery entry – Dogwood Crossing, Miles. This exhibition brought together a diverse collection of works including: prehistoric fossils and other historical artifacts, references and narratives of the pastoralists struggle with the invasion of prickly pear cactus and other pests, floods and droughts. The artists represented in the show came from many disciplines. Paintings representing this landscape covered a range of movements and styles from romantic colonial pastoral period to impressionism, abstraction and modernism. Well known artists names: Kenneth Macqueen, Sam Fullbrook and Joe Furlonger are representative of the depth of creative work in this exhibition. Some artists reflected on living with the natural environment as found in small corners of Patricia Hinz’s back yard in the work, Sanctuary (2014). 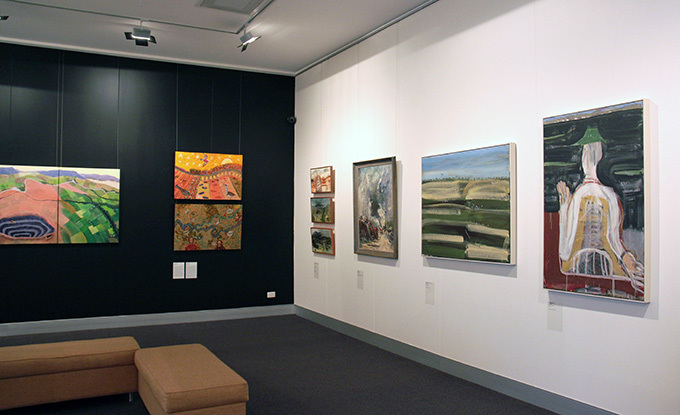 Palpable in the drawing of Allan Bruce’s Stanthorpe, Late Winter (2008) is the feeling of being in the grand sun-soaked landscape of the Downs, and the relationship of small towns with the surrounding country. 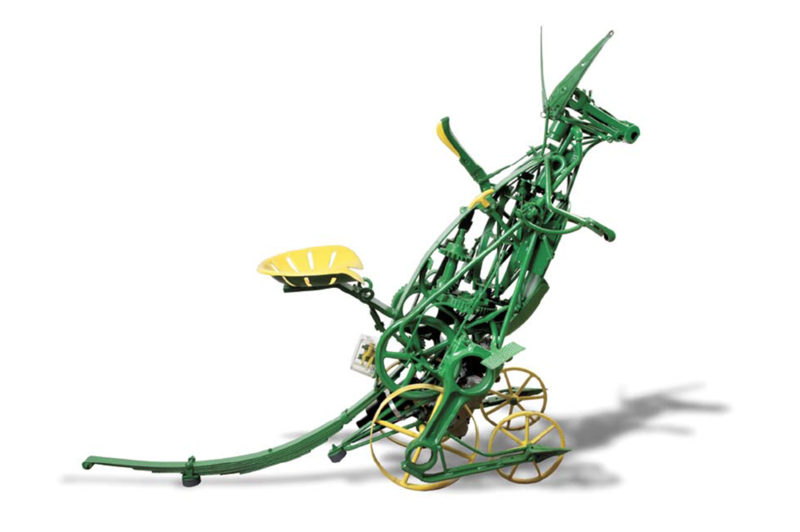 Bruce observes: “Stanthorpe is one of those towns where the natural and built environment coalesces almost seamlessly.” The inventiveness and creativity that pervades every farmer’s shed and bushman’s camp is embodied in the sculptural work of Dion Cross’ Grass Harvester (2014), that highlights the competition for pasture between man and animal during periods of drought. 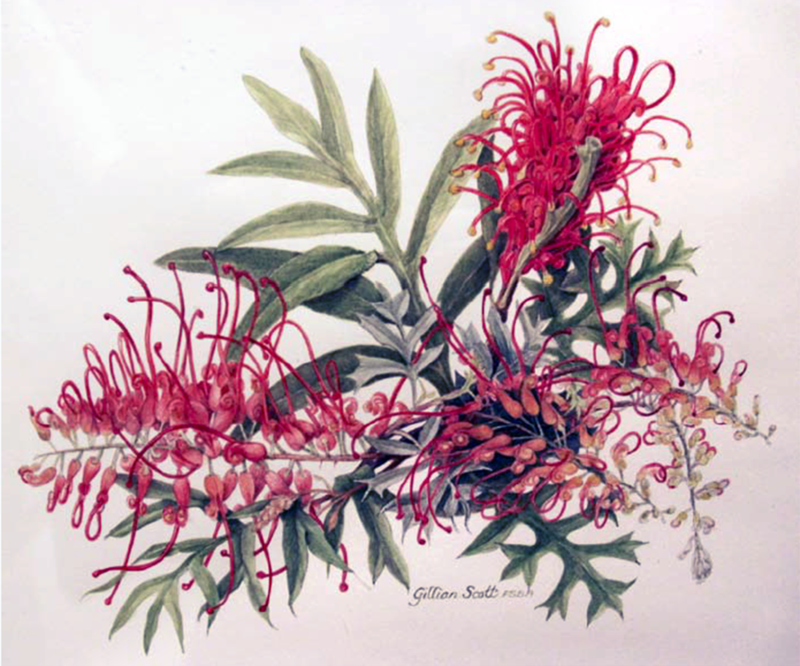 The fine drawings of flowers and fungi by botanical artists and illustrators through scientific documentation reveal a deep understanding and investigation of the natural life forms found in this region. Phil Bazzo’s painting, Miles: At the Crossroads (Triptych, 2008) presented two concepts: the physical nature of the intersections of roads in Miles including the dynamics of heavy road vehicles and the metaphor of crossroads to infer change and concerns for the future. Both found natural and manmade objects and materials were also utilized as the visual language of protest. This was evident in the mixed media works of Jennifer Wright (Summers): Searching for Life in the Anthropocene 1 (2014), using tea bags, feathers, fabric pen & ink, watercolour and Anthropocene Nest (2014), that was made from plastic bags and pelican bone. Nicki Laws’ Habitat Gone (2014) collaged and embroidered the materials found in the fluoro safety barriers widely used in the industries found in the region. 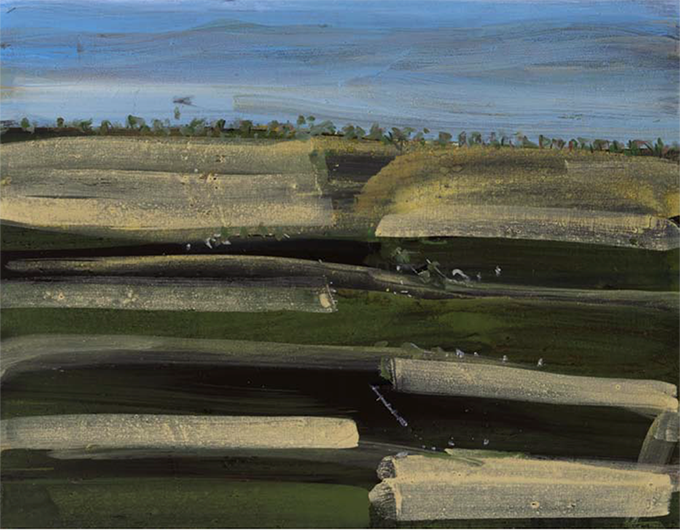 Beyond the facts and information, the presence of a growing connection and love of the Australian environment pervaded strongly throughout this extraordinary show. Through visual story telling and lived experience, the artists and the curators have constructed a layered topology of the Darling Downs. A telling image of how the effects of a changing human condition: technology, energy and food production can be identified and chronicled through the artist’s vision. I am also privileged to have my work, 7 Gates (two forms: artists’ book, 2009; digital media presentation 2014), included in Habitat. Anne Keam and Ashleigh Campbell at the opening.